In 2015, I had the privilege of travelling to Colombia for the very first time. It was for an Operation Christmas Child Vision Trip. I love these trips, not only because I get to experience a new culture, but because I get to meet so many great people who are volunteering with Operation Christmas Child in their own country. Medellin was no exception! Colombia may have a well deserved negative reputation for the Narcos its produced, but you wouldn’t know it from spending time in Medellin. It’s not to say that there’s no crime, but the city seems hopeful, safe, and welcoming. Medellin is a city of 2.5 million people tucked within the mountains. 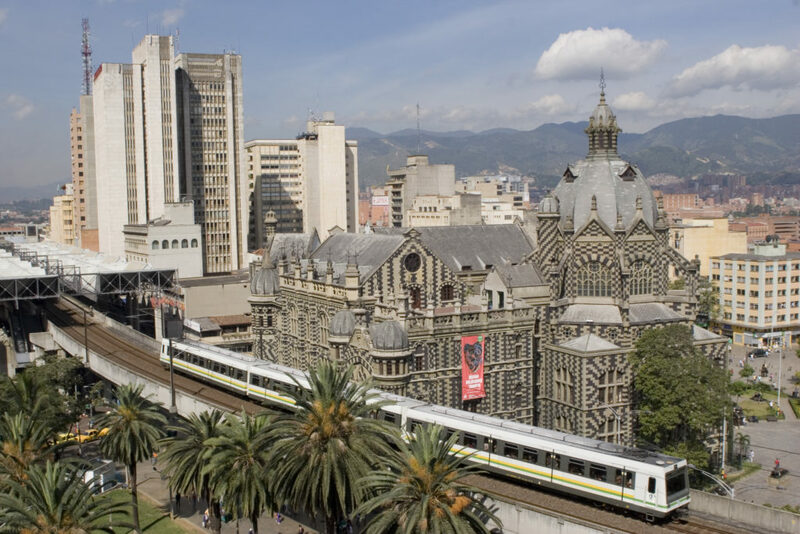 Medellin is also becoming a top retirement destination for Americans. I can see why, low cost of living, technologically advanced, nice people and great food. Sign me up! Medellin has exhibited a huge turnaround. In the 1990s, Time magazine called Medellin the “most dangerous city on Earth.” Maybe then, but certainly not anymore. The José María Córdova International Airport in Medellin, Colombia (MDE) is not located within downtown Medellin, it’s actually located in Rionegro, which is a suburb about 45 minutes from the city. Taxis are dirt cheap to the city and you’ll be fine taking an official taxi from the airport. There’s not much located around the airport. There are a few hotels and some neighborhoods and stores, but the city is far. Be sure to change your money before you leave the airport. It’s not worth it to change your money in full view of everyone outside of the airport in order to save a percentage point or two. All too often, foreigners want to save a few bucks by changing money on the street only to get robbed a few minutes later. The money changer gives you a great rate on the money you change for you and your group, then calls or signals a friend who follows you and robs you for the money you just changed. The money changer gets a percentage of that. When arriving to the airport to fly out of the country, go to the tax office first. If you’re American, there will be no taxes due (its included in your ticket price) but you need a stamp in order to pass through immigration. Once you’re through security, enjoy the WiFi and coffee. The selection of places isn’t a lot but this is Colombia, the coffee and food are great anywhere you go, so enjoy! The José María Córdova International Airport in Medellin receives a grade of 9 out of 10. MDE is a great airport. It has everything you need and would expect of an airport servicing a large city. The only drawback is its distance from Medellin.